​​The Good Neighbor Lighting brochure is now available! ​The brochure explains how easy it is to be a good steward of the night sky and provide for pleasing and effective outdoor lighting, without creating a nuisance to others or adversely impacting health, wildlife, or the beauty of the night sky. A full view can be seen and downloaded on our Solutions page. 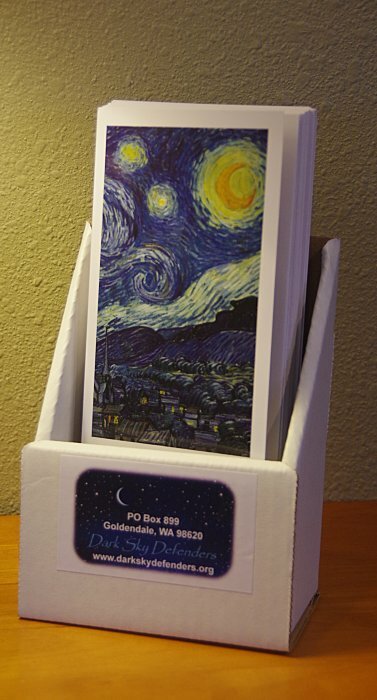 High quality tri-folded copies on heavy gloss stock can be obtained directly from Dark Sky Defenders for groups and organizations, along with a brochure display holder if desired, for a minimal cost to cover postage and handling. Use the Contact page to obtain more information, a free sample, or to order. Dark Sky Defenders is a 501c3 tax-exempt non-profit organization dedicated to enrich and expand the global appreciation and support for the preservation and protection of the night sky through education and advocacy. 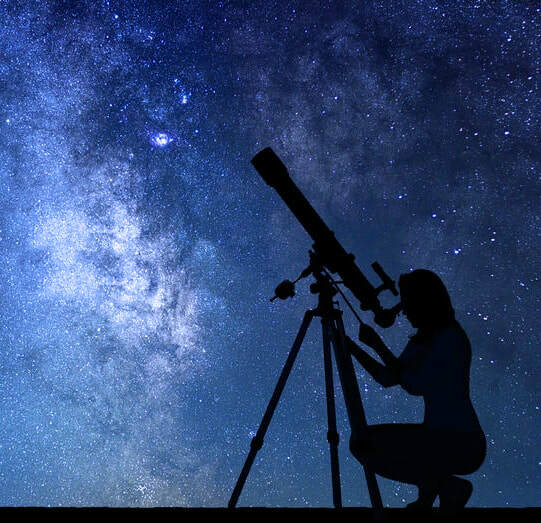 Our website also collaborates with other astronomy groups and organizations to provide outreach activities related to astronomy and science, as well as education about dark skies and the reduction of light pollution. ​Donations to Defenders are tax-deductible. First US Gold-Tier International Dark Sky Reserve is the​ Central Idaho Dark Sky Reserve. "I love our dark skies & look forward to them getting even darker & darker. It's so great to live in a community that values nature & wilderness. Light trespass (pollution) is not one of our community values. Thanks everyone for working together on this to keep central Idaho unique & beautiful!" ​The night sky is disappearing worldwide at an alarming pace. Dark Sky Defenders is dedicated to advocacy for its conservation and protection.